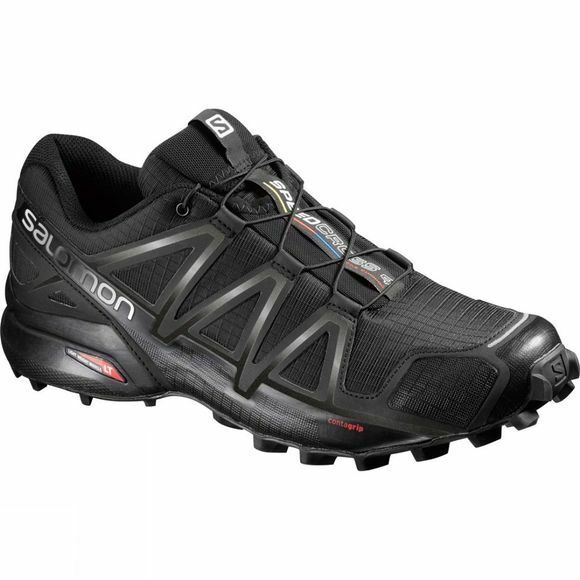 The Mens Speedcross 4 Wide Shoe from Salomon turns the normal image of refinement on it's head. Lightweight, highly cushioned and with monster grip on soft trail conditions, the SPEEDCROSS 4 WIDE delivers more raw fun than ever. This wider lasted version let's more people discover the comfort and performance of SPEEDCROSS.